WHAT A GREAT BUNCH OF AWESOME PEOPLE! 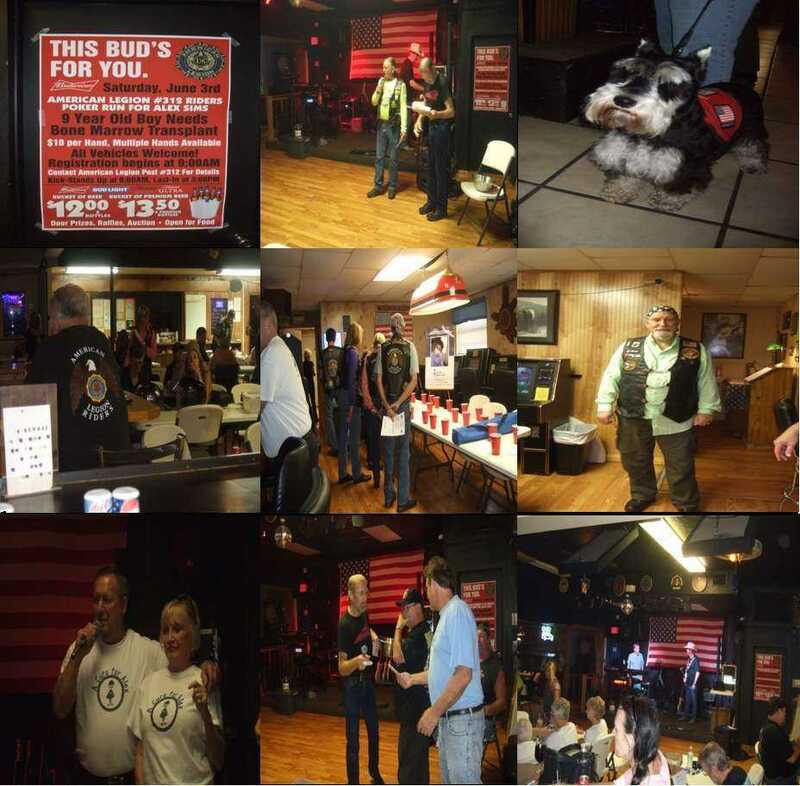 American Legion Post #312 Rider’s Club sponsored a Poker Run Fundraiser for Alex. Posts #308, #325, #266 and# 24 Rider’s Clubs participated, as well as members of the VFW, DAV, Eagles and other fraternal organizations. The turnout, love and support were phenomenal! Approximately $3850 was raised for COTA for Team Alex Sims to help Alex’s family with transplant-related expenses.